It’’s 1829 and Dr. William Whitcraft has his hands full. When he’s not trying to dream up a cure for hysteria–the scourge of London’s polite society–he juggles a busy medical practice, a lovely but demanding fiancée, an over-enthusiastic patient seeking his affections, and the emergence of an ominous rivalry with a dashing fellow professional. Not to mention a secret dalliance of his own with a locally famous procuress. 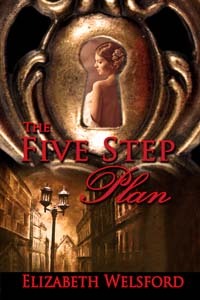 The Five Step Plan is a light-hearted farce , illuminating the hypocritical world of 19th century English society, where one must navigate the bounds of propriety, while mastering the art of clandestine intrigue.